What is MySQL? Why Is It So Popular Relational Database? MySQL is the most popular database in the world. There are many powerful features in this database that are available for absolutely free. This database is open source and also has a enterprise version. MySQL is a relational database that supports SQL to query data. Despite popularity of NOSQL databases, MySQL still remains most used database on the planet. Thousands of high traffic applications are still developed using MySQL. Many extremely popular open source platforms like Wordpress and Drupal use MySQL. You can easily find a freelance worker for very low cost to work on MySQL database. Quite illustrative, isn’t it? It is rather understandable, with the big names amongst MySQL users including Paypal, Cisco, LinkedIn, Adobe, Amazon, Verizon, Google, Dropbox, Facebook, Booking.com, Twitter, Youtube and Flikr, and app platforms add Joomla, Drupal, Wordpress, phpBB and many others, no wonder MySQL is so popular. All the AMP open-source web application software stacks, and "Linux, Apache, MySQL, Perl/PHP/Python" (LAMP stack), have MySQL as their central part. Their open-source nature and vast multi platform support, and MySQL’s own too, brought all these products to the absolute dominance on the small-to-medium market wing. MySQL, along with its straightforward logical approach, simplicity and usability, spiced with rigid reliability alike Volvos and SAABs, was born in Uppsala, Sweden. MySQL AB, responsible for its creation and development, was formed by Michael “Monty” Widenius, David Axmark and Allan Larsson. 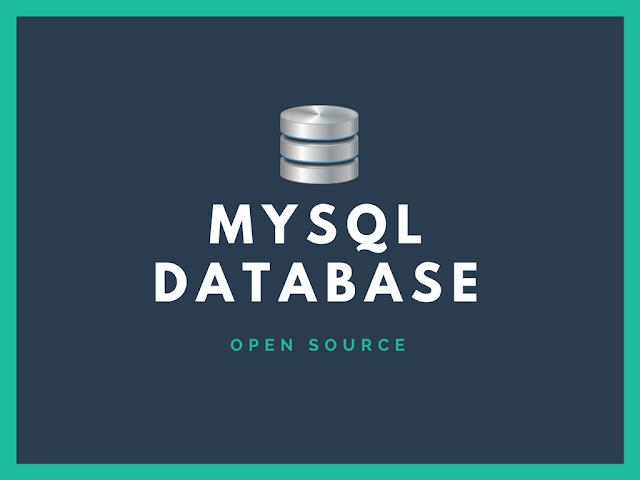 Initially developed for personal use, loosely based on proprietary mSQL, MySQL had seen its first release in 1995. The product was successful and the company grew; at its peak MySQL AB was one of the biggest open-source companies with around 400 employees, 70% of which worked from own homes in 25 countries. In 2008 the company was acquired by Sun Microsystems for a billion USD as one of the last Sun’s acquisitions before it had been purchased by Oracle Corporation in 2010. Monty Widenius had started a campaign against Oracle’s acquisition of MySQL, but it eventually failed, the merge was complete and Oracle promised to further develop and enhance MySQL. There are two editions of MySQL: the GPL open-source version and the Enterprise Server, which is proprietary. The Enterprise Server offers some additional server plugins, that extend functionality, but otherwise is based on the same code base as the GPL edition. That reads as a “no worry of rubbish free software” sign waving over MySQL. Native storage engines InnoDB, MyISAM. Minor updates are released every two month, the sources are available on both the native MySQL site and their GitHub repository. AIX, BSDi, FreeBSD, HP-UX, eComStation, i5/OS, IRIX, Linux, macOS, Microsoft Windows, NetBSD, Novell NetWare, OpenBSD, OpenSolaris, OS/2 Warp, QNX, Oracle Solaris, Symbian, SunOS, OpenVMS, SCO OpenServer, SCO UnixWare, Sanos and Tru64. Quite a bunch, isn’t it? MySQL had started as a small task project, but eventually it evolved. Largely. Modern days MySQL is capable of fulfilling tasks of small to medium scale not breaking a sweat, but it also has serious capabilities of managing much bigger assignments. The impressive list of its famous user shows it clearly. MySQL server can be scaled in two ways: scale up - by increasing single server power and scale out - by increasing the number of servers. In the latter type one server, the master, is dedicated to all the writing operations, and coordinates the work of all the other “slave” servers, that are handling all the reading operations. The data exchange between all of them is constant, and any of the “slaves” may be promoted to “master” in case of troubles with the initial one, that dramatically decreases down-times. MySQL Workbench - the official integrated environment for MySQL. Developed by MySQL AB, it allows users to administer MySQL databases and design database structures using visual graphical tools. The package is available in both GPL Community Edition and in a more advanced proprietary Standard Edition. Adminer (formerly known as phpMinAdmin) is a free MySQL front end by Jakub Vrána for managing content in MySQL (PostgreSQL and couple other) databases. It is distributed under the Apache license (or GPL v2), and is represented as a single PHP file. Database Workbench by Upscene Productions. Databases Workbench supports multiple database systems, includes cross database tools and thus provides single GUI for multiple project if needed. DBEdit - a cross-platform database editor supporting Oracle, DB2, MySQL and any JDBC driver providing DB.DBEdit is free, open source and is hosted on SourceForge under GNU licence. LibreOffice Base and OpenOffice.org Base both provide MySQL support. MySQL is very easy to learn. Any computer beginner can learn it quickly and start using it without prior knowledge of a database. MySQL has been around for many years and therefore you can find really good books to learn it thoroughly. The books are big, however you may not need to know everything to get started on using MySQL database. Though knowing PL/SQL programming can help you write complete programs using MySQL, it is not at all required for a beginner MySQL user to learn about it. MySQL is the most popular relational database therefore finding a quick help in internet is not difficult. Many blogs exclusively share MySQL tips and tutorials. You can also visit discussion forums and message board websites to ask a question. However most of the time you will find an answer by simply doing a search on internet. MySQL has a huge community of freelance developers. These developers know how to use MySQL and write useful programs and queries using MySQL database. You can find good help at really low price. Almost all popular freelancing marketplaces have MySQL freelancers that are ready to work for you immediately. A few years passed after Oracle’s acquisition of MySQL and as we can see they did keep their promise. Oracle is known for their superb modernistic and flexible support service, and now it has special bundles of support plans for MySQL too. MySQL had proven itself as the king of the hill of relational databases in its over twenty year history in all the small to middle applications, but its development brought it to the upmarket solution as well. All around great choice by any standard. Max Hornostaiev, CTO of Erminesoft, an app development company. Having more than 10 years of experience in IT field, he is sure the key for growth is constant self-development, learning new things and knowledge sharing.